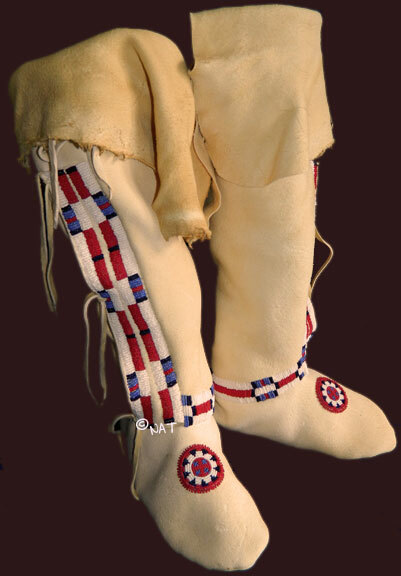 - Sioux, Cheyenne, Blackfeet, Crow, Nez Perce, Apache, Cree, Woodlands, etc. 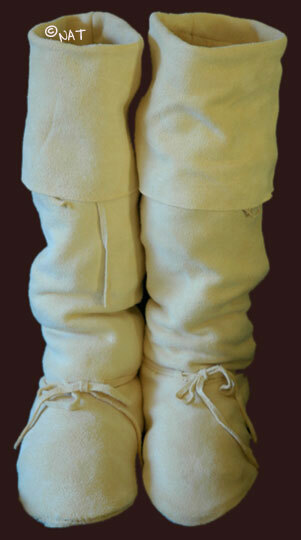 For a great fit, we work from tracings of your feet, plus some simple measurements. 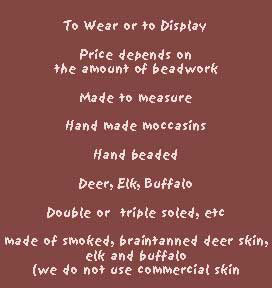 We do not use a pattern or a shoe size. 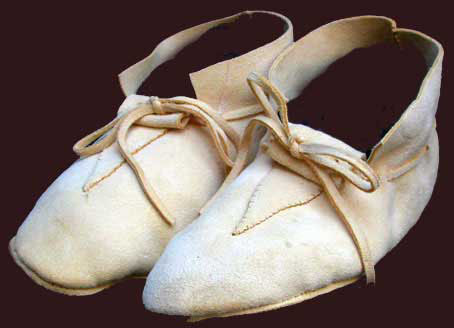 They are made to fit you. 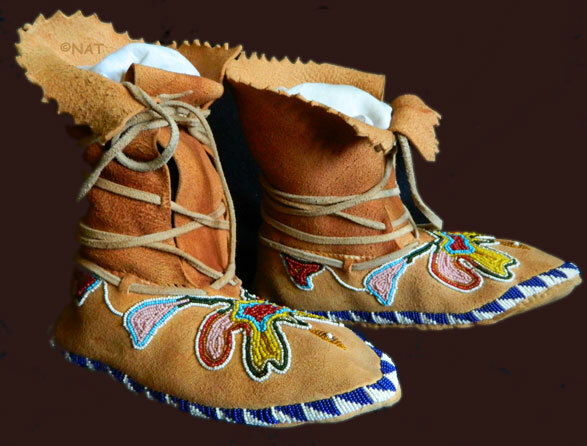 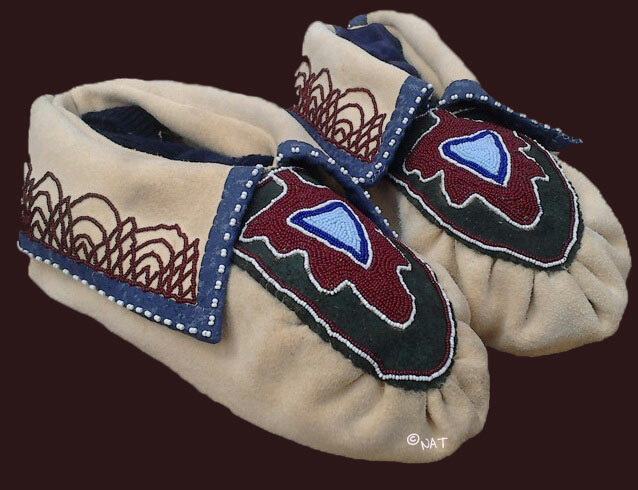 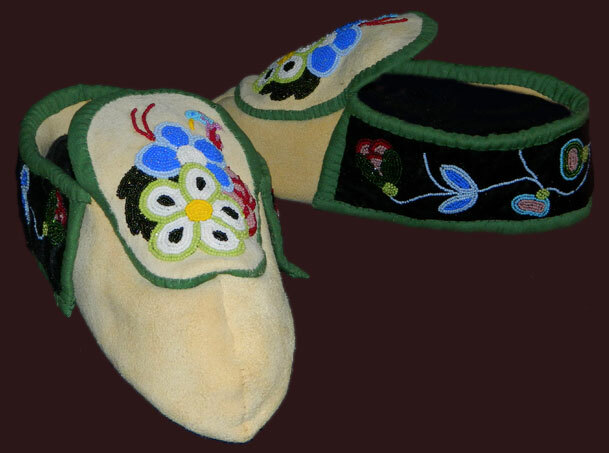 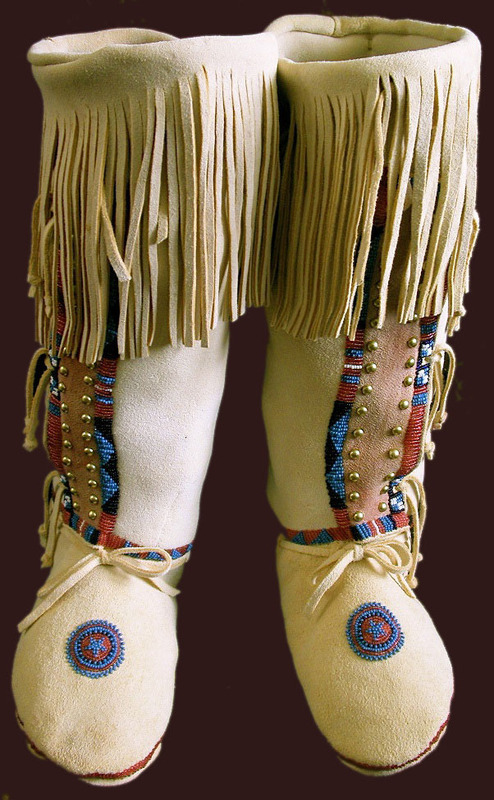 Our Moccasins are hand made and hand beaded (using glass seed beads of various sizes - determined by the design) on smoked or brain-tanned buckskin, elk and buffalo (double and triple soled). 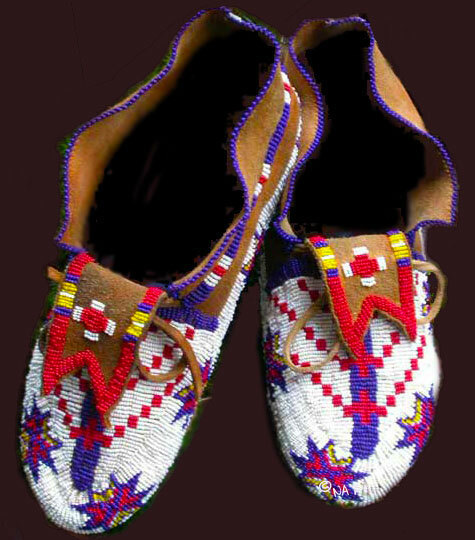 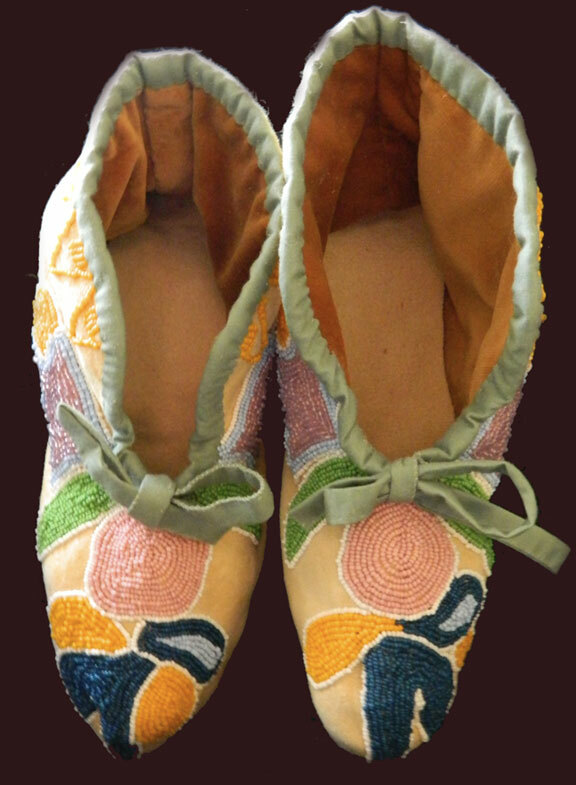 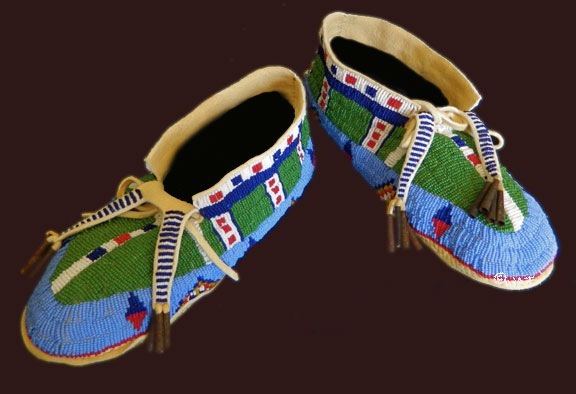 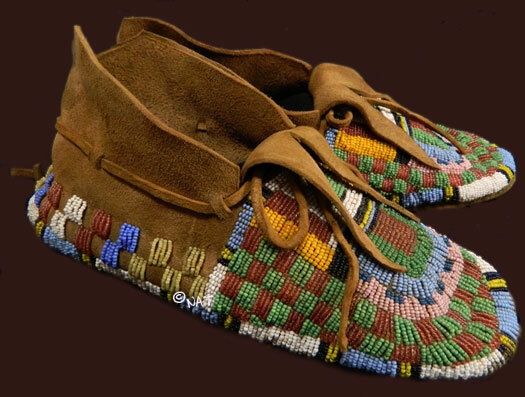 We work with each client to design the style and type of each individual moccasin - encompassing elements such as tribal style, bead color and pattern, etc. 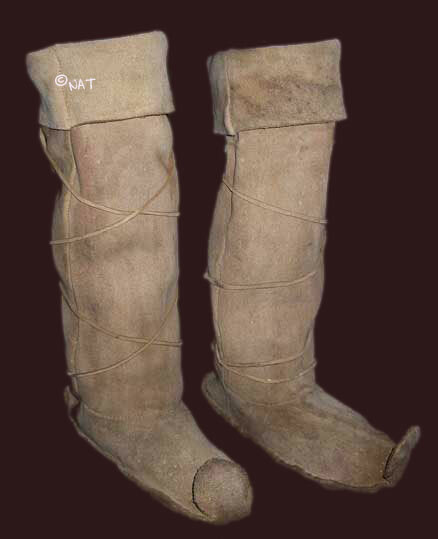 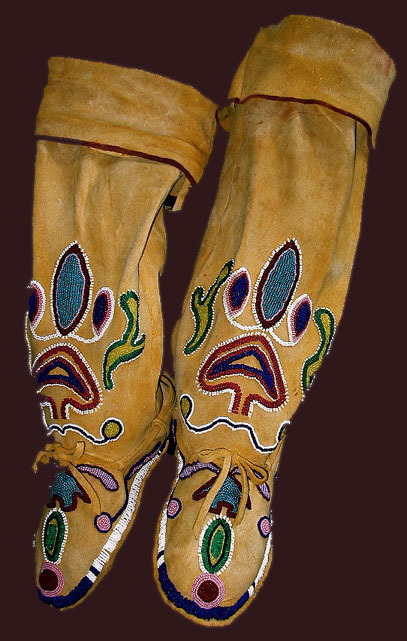 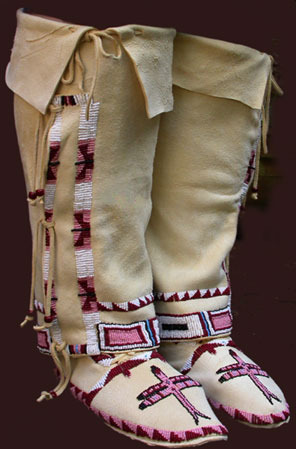 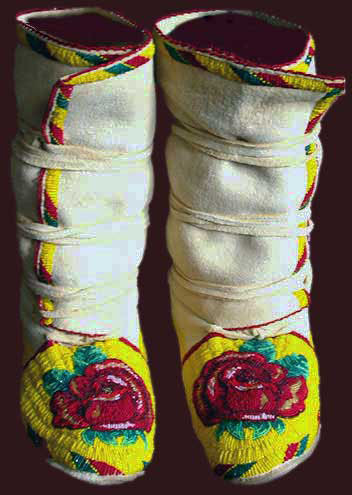 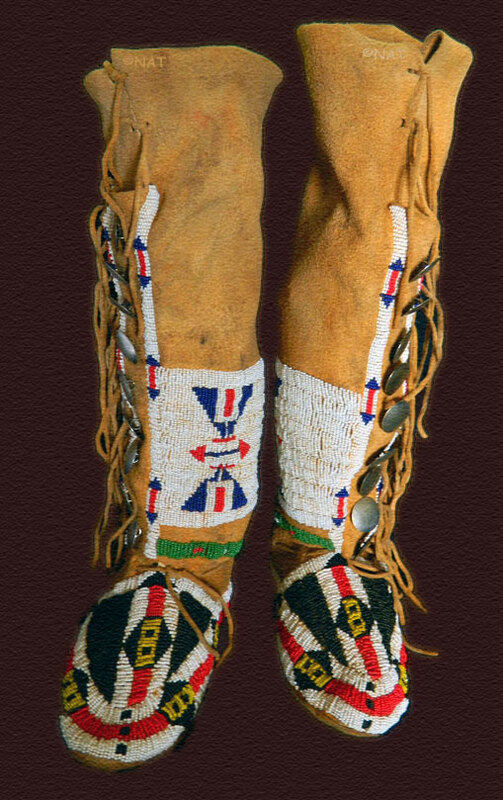 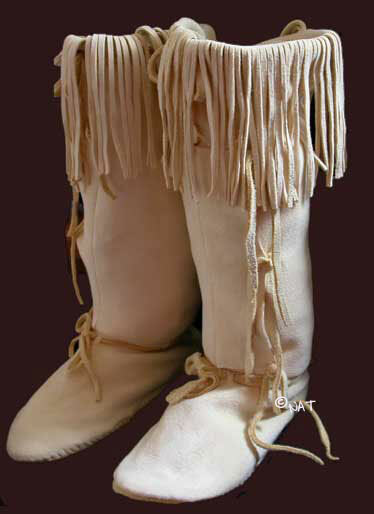 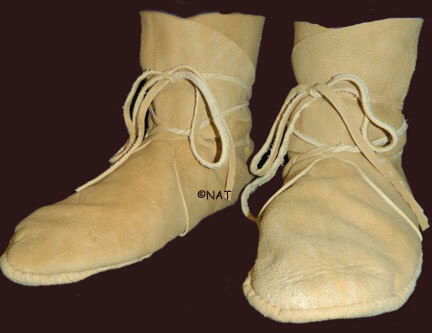 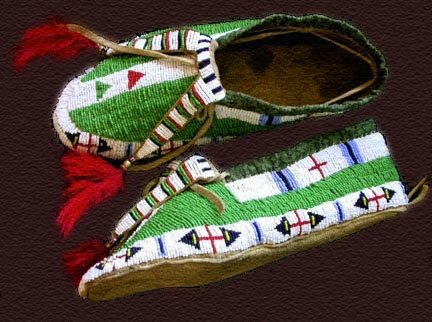 We also replicate a lot of old moccasins from museum photographs. 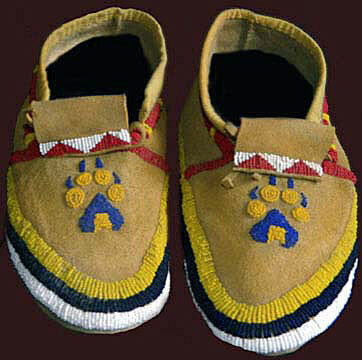 Moccasins are sometimes aged to look old depending on your preference.